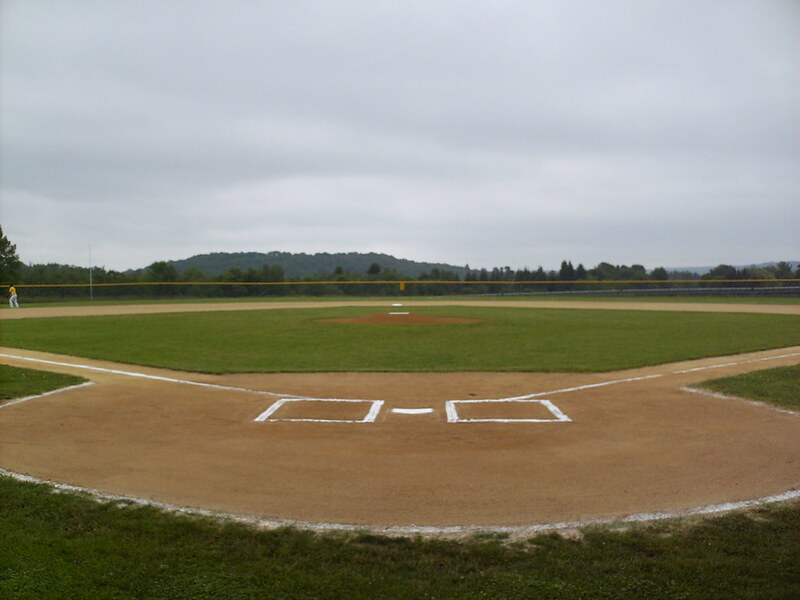 The view from behind home plate at Generals Park. 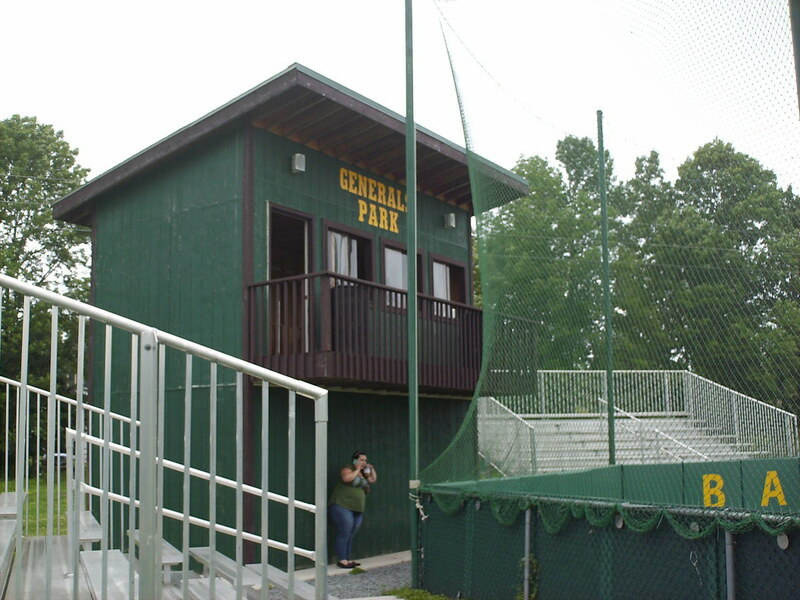 The grandstand at Generals Park, as seen from the right field corner. 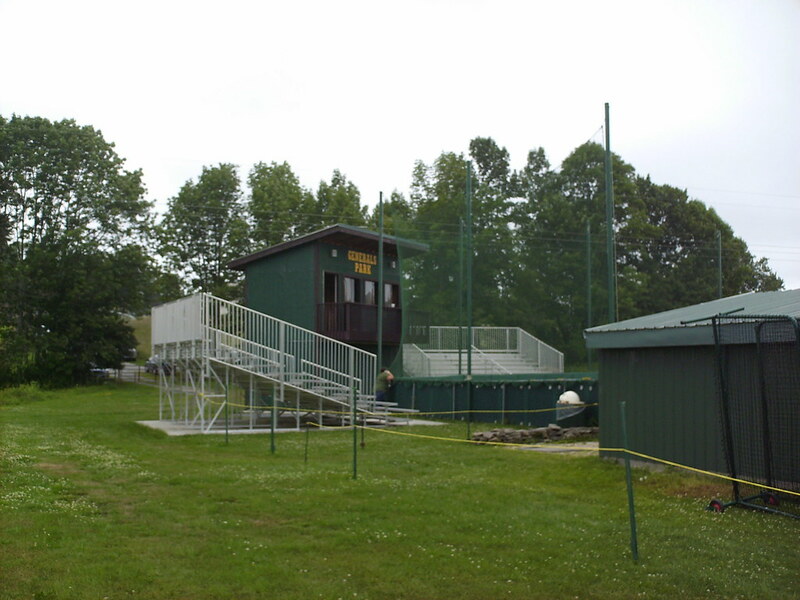 The pressbox sits behind home plate, with a small wooden balcony in front of it. 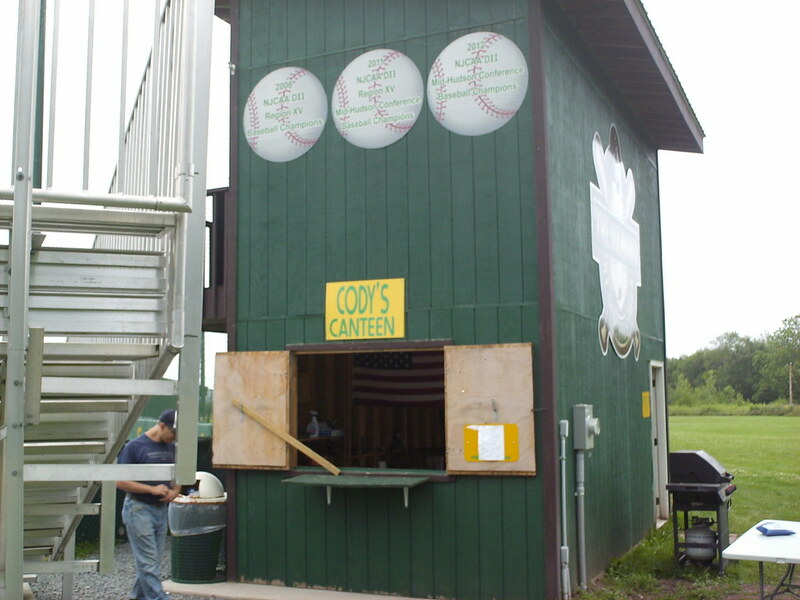 A single concession stand sits on the bottom floor of the pressbox building. 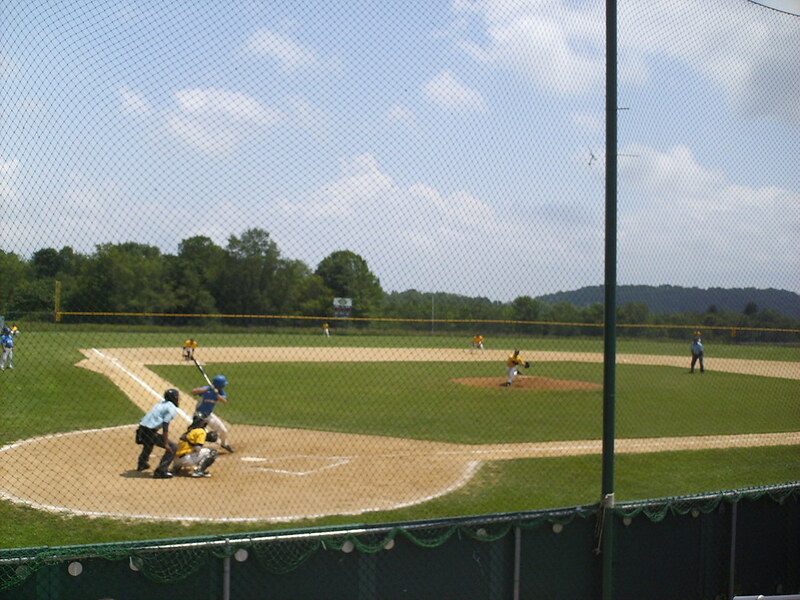 The park features no seating behind home plate, just a small walkway between the pressbox and backstop. 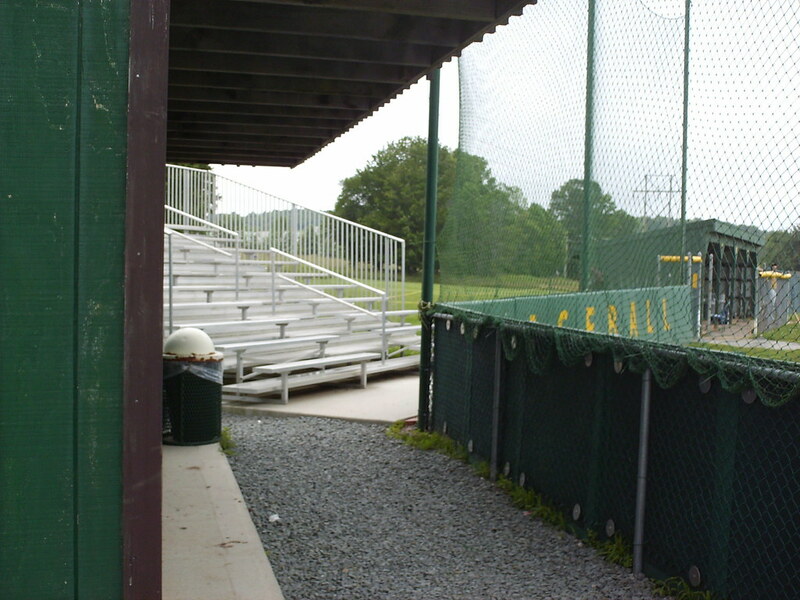 Seating at Generals Park is in small bleacher sections on either side of the squared off backstop. 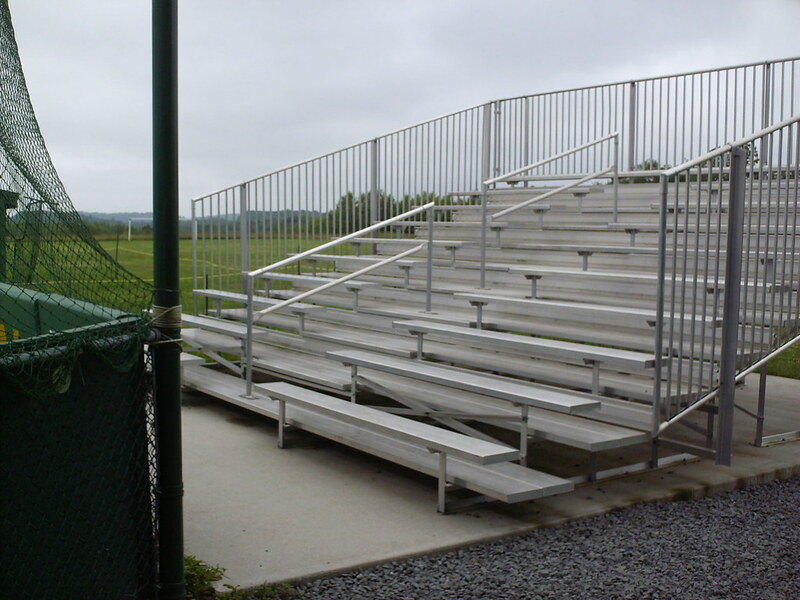 All seating is aluminum bleacher seating in one of the two small sections set up on concrete pads. 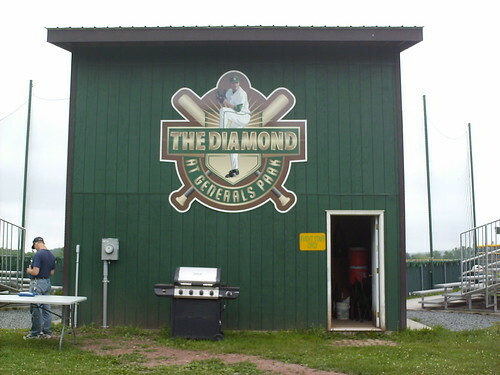 Dugouts sit at field level beside the backstop. 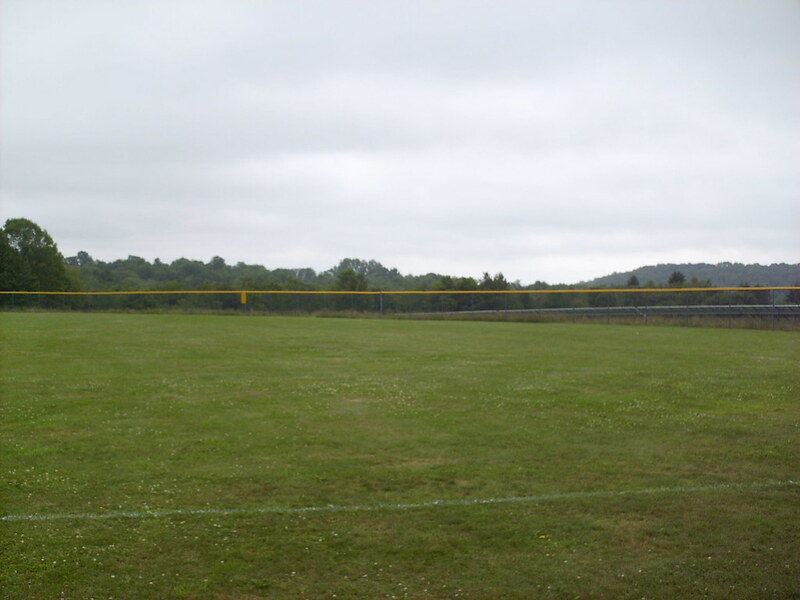 Bullpens sit out of play in the outfield corners in a wide open field. 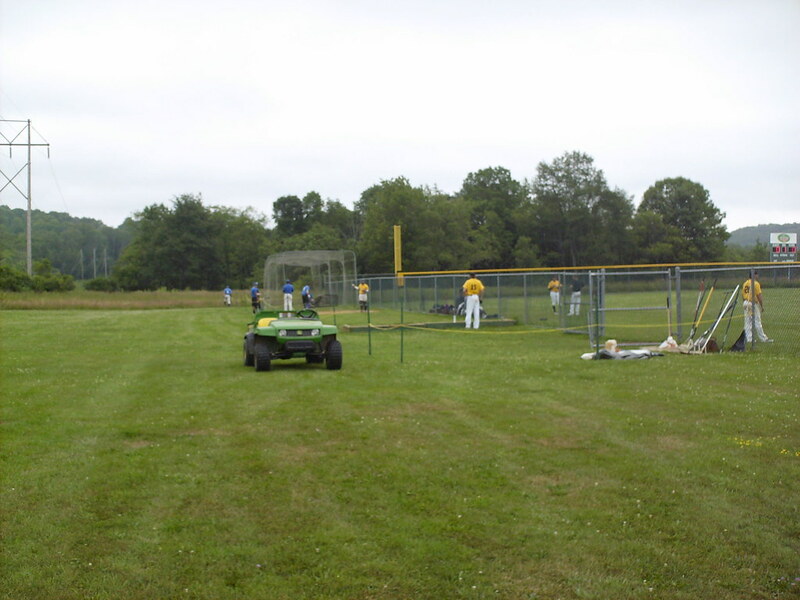 The outfield slopes slightly down as it moves toward the chain-link fence. 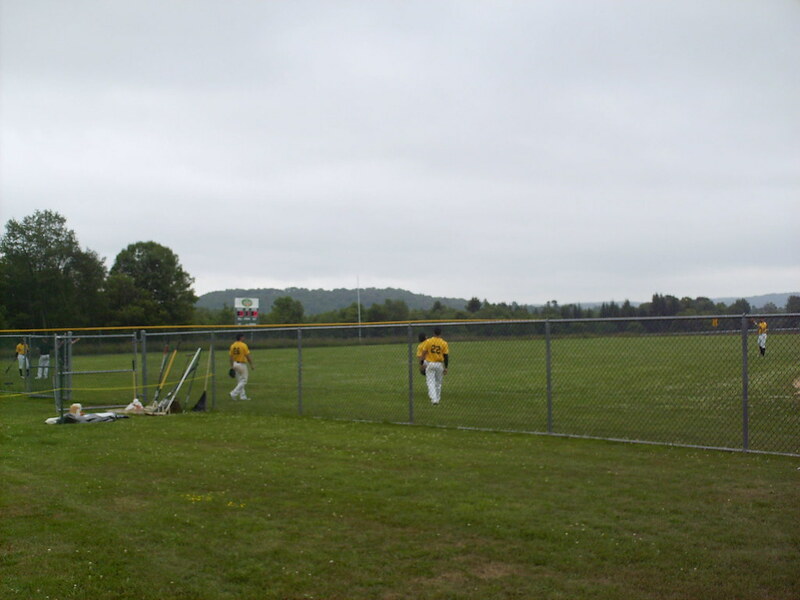 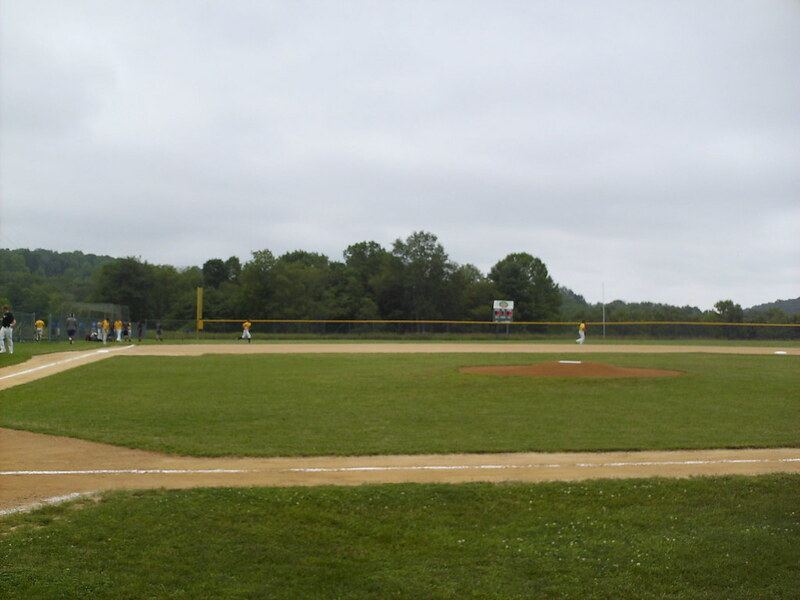 The park has no light towers, so all games are held during the day. 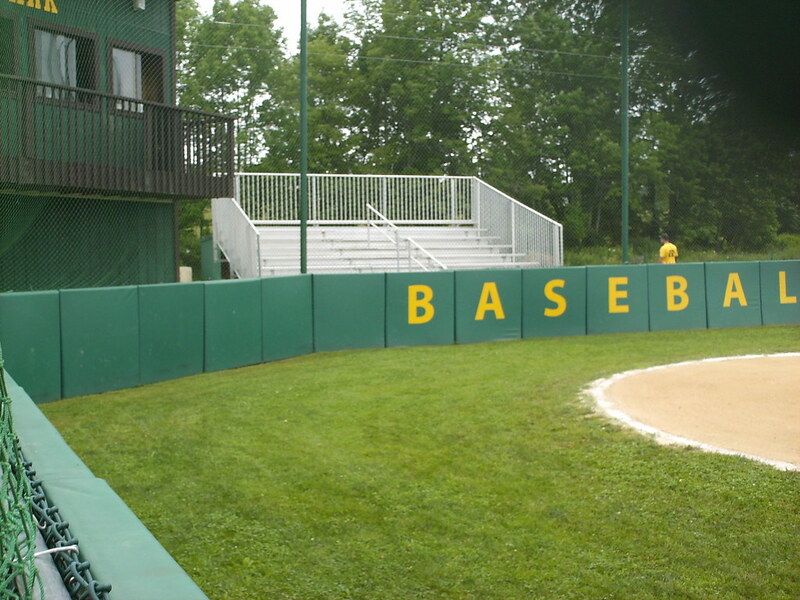 A small, basic scoreboard sits behind the fence in left field. 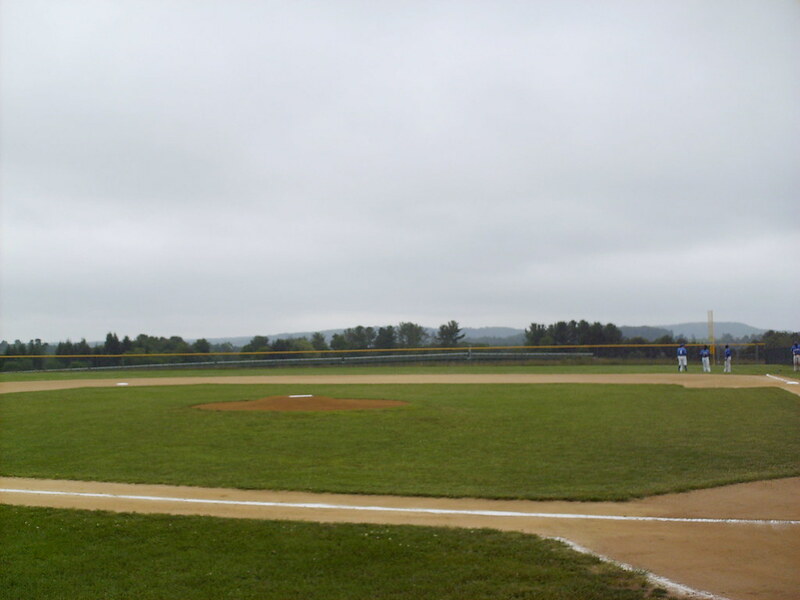 It does not show a line score, just the innings and runs for each team. 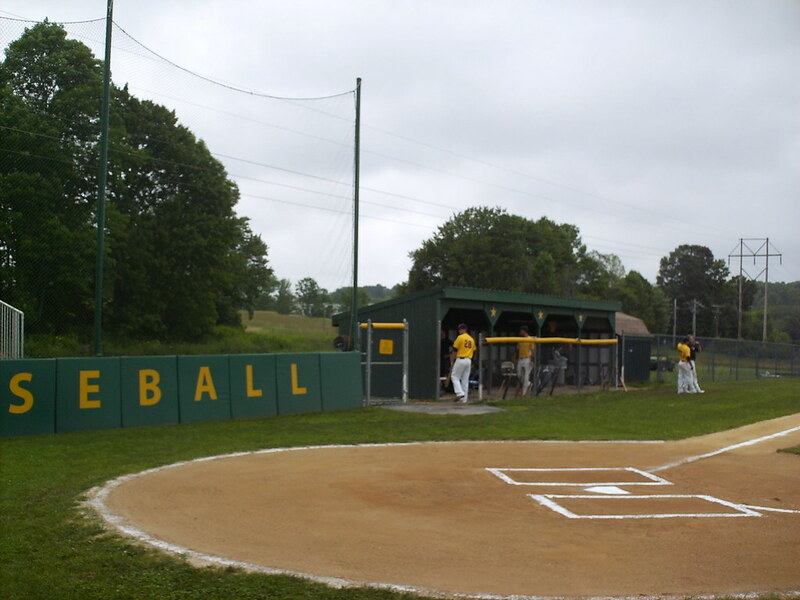 The Sullivan Explorers on the field during a game at Generals Park.